The Explore page inside the app has been completely revamped. It now shows trends as they emerge, making it easy for you to follow current events and conversations through Instagram. You will see trending tags as well as trending places. 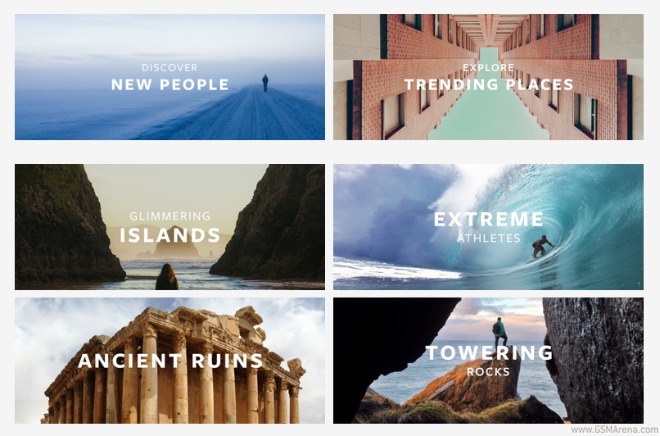 Additionally, at the top of the Explore page you’ll have some new regularly updated curated collections. These will feature interesting accounts and places. This exact functionality can be seen in the screenshots in the image above. The changes to the Explore section will only become available in the US, though Instagram promises they will make their way to the rest of the world at some future point. In the meantime, the experience apparently has to be fine tuned to work well in other countries. Moving on, searching has been improved as well. Now you can find places, people, and tags all at once. The new place search lets you see any location through the eyes (or lenses) of Instagram users. This will thankfully be part of the app regardless of where you live.